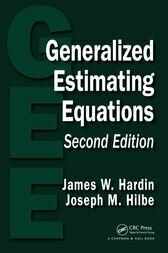 "Generalized Estimating Equations is a good introductory book for analysing continuous and discrete data using GEE methods ... . This book is easy to read, and it assumes that the reader has some background in GLM. Many examples are drawn from biomedical studies and survey studies, and so it provides good guidance for analysing correlated data in these and other areas."